Description: Burning Nettle Melange Marieke Gouda is a cheese blended with stinging nettles, chives, celery, parsley, dried onion, and garlic. All these ingredients lead to a creamy cheese with a slightly sweet, nutty flavor that becomes more complex as it ages. 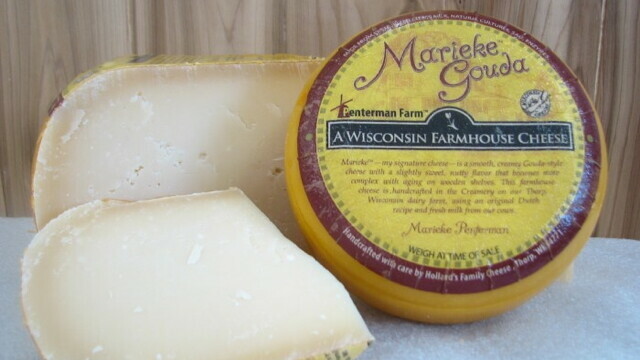 The base of the cheese is Holland’s Family Cheese’s own Marieke recipe. This Old World Gouda is made with herbs, spices, and equipment all imported from Holland, and all the milk used to make the cheese is fresh from that morning. After being formed and pressed, the Gouda is brined for 60 hours and then stored on Dutch pine planks that absorb the excess liquid as the cheese ages. For the first two weeks the cheese is turned everyday to ensure the butterfat is distributed evenly and after that it is turned twice weekly for its entire stay in the facility. Description: Once opened and poured, this beer displays a dark hazelnut color with a half-inch tan head. As you lean in to take a whiff you find yourself initially overwhelmed with the mint, which quickly mellows to reveal hints of both chocolate and coffee. The beer has a medium body designed to stick to the palate and allow the flavors to transform over time. Drinking this stout has been compared to eating a Girl Scout Thin Mint cookie dipped in coffee. Bourbon Barrel Coffee Mint Stout is aged in bourbon barrels for at least three months and is bottled with an alcohol content of around 6.8%. This seasonal stout is definitely worth trying to find for anyone who’s looking for something rich, hearty, and just a bit out there. Description: After partaking in Surly Darkness you’ll be hard pressed to find a more aptly named beer. Consuming it isn’t something you do while you eat or play cards; this is a beer that demands its own experience. Darkness is a double imperial stout with a whopping ABV of 10.3% and is so loaded with malt, sugar, and other flavorful goodies that calling it thick is the mother of all understatements. Drinking Darkness you’ll notice chocolate and molasses up front with flavors of vanilla, coffee, and berries filling in the back of your palate. A strong hoppy tang comes in at the end followed quickly by a kick of alcohol. 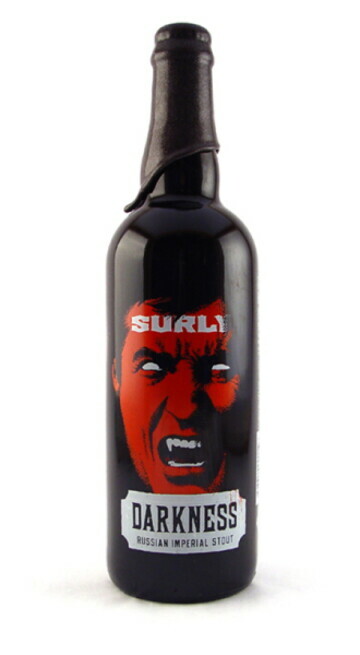 If you have the commitment and passion to search it out in October, Surly Darkness is a beer that shouldn’t be overlooked by any beer aficionado.